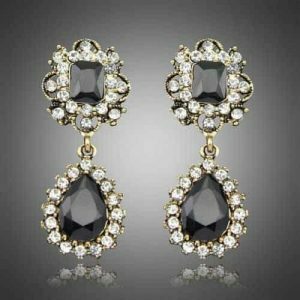 Are you looking for beautiful earrings? then you are at the right place. At aphrodite you will probably find something that suits you. We are always looking for new trendy items. 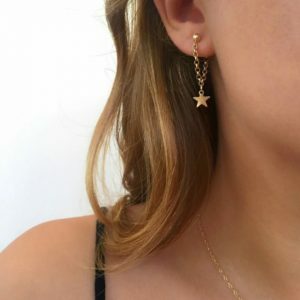 We have delicate earrings that you can wear every day or nice ear plugs that brighten up your outfit. 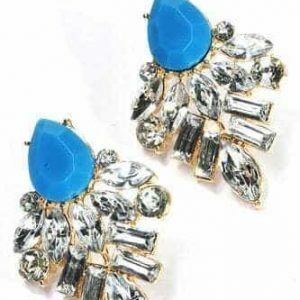 If you prefer large earrings with crystal stones to give your outfit a finishing touch, go for our statement earrings. 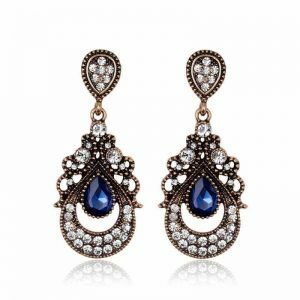 In our jewelry webshop you will find the most beautiful earrings. 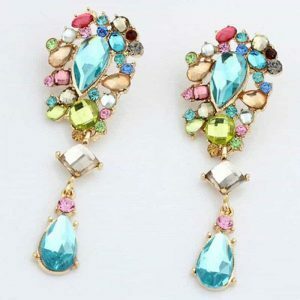 Nice earrings come in different sizes and shapes. When you go to school / work you naturally wear different earrings than when you go to a party. 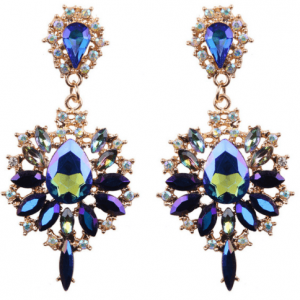 Then there is the possibility to wear striking statement earrings. 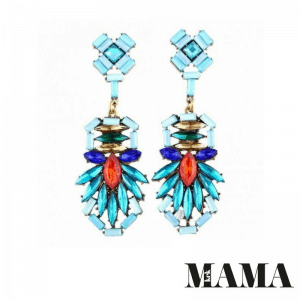 We also have stylish creole earrings and delicate earrings in our collection. 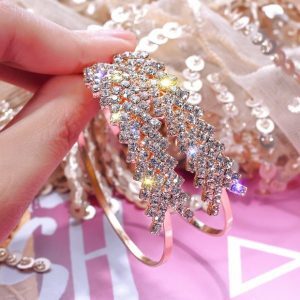 Take your outfit next level with our beauties. In addition to beautiful earrings, we also have stylish necklaces in our collection. 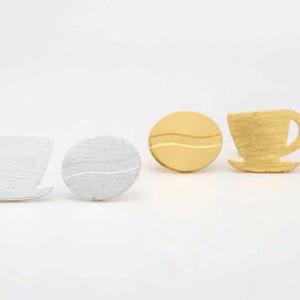 The minimalist, small earrings are especially nice and practical for school or work. Because of the simple design you can easily combine it with other jewelry. We have them in our collection in various forms. For example in the form of a triangle, circle, heart, star and moon. 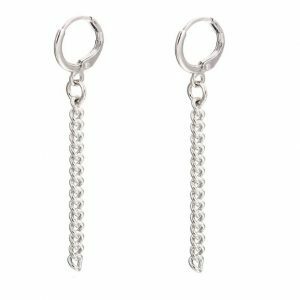 Wear your minimalist earrings with minimalist jewelry. For example with a subtle, fine layered necklace or with a nice simple bracelet. The necklace with the initial is very fashionable at the moment. 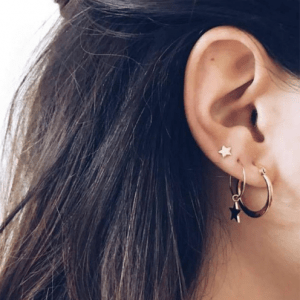 You can also combine your minimal earrings with that. You will feel more beautiful with beautiful jewelry. And you always look great. 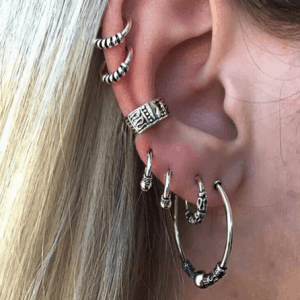 Also the stud earrings should not be missing in your jewelry collection. 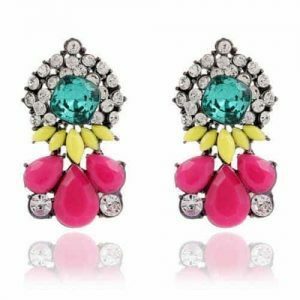 The large statement earrings with crystal stones, tassels and pompoms are fun for a party, festival or a date. They are a real eye catcher! 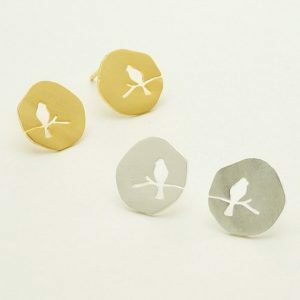 We have playful earrings in the form of lovely figures such as batman, cats, bird, dragon and airplane. 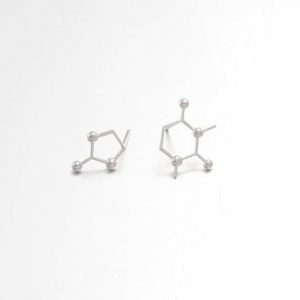 If you like nice minimalist earrings then you should definitely look at our category ear studs. 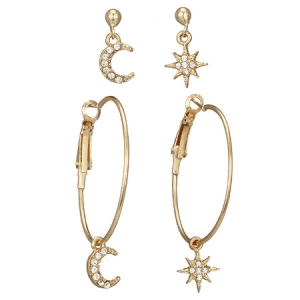 But also timeless earrings with geometric designs should not be missing in your jewelry box. You can combine them with a beautiful statement necklace or bracelet. Give your outfit a personal touch. 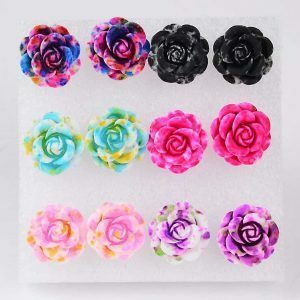 The stud earrings are also called ear studs. We have them in our collection in various shapes and sizes. 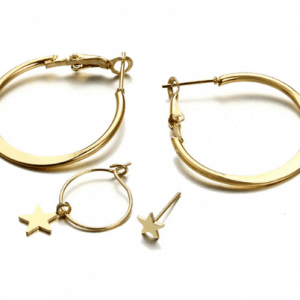 For example nice figures such as star, heart, triangle and round studs earrings. 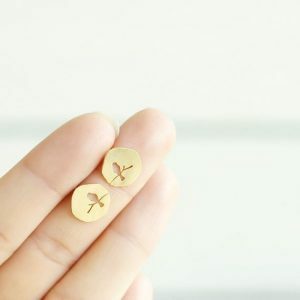 But we also have them in special forms, for example in the form of the batman, origami bird, coffee cup, dragon, scissors, cactus, compass, plane and many more fun studs earrings. 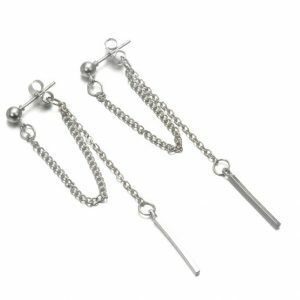 We have earrings sets with 3, 4.5 or more pairs. Do you have 2, 3 or more ear holes? then you are lucky. You can make your own earparty by mixing and matching different fun earrings together. Combine it with a cool choker necklace. We always include the most hot items of our time in our collection! 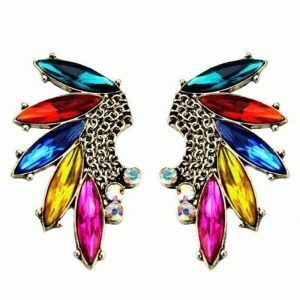 The super cute leopard / leopard earrings are very hot at the moment. 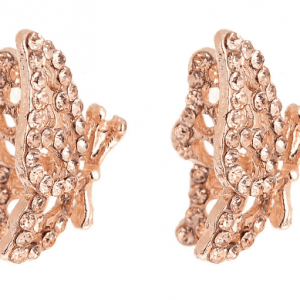 These fashion earrings with panther charm go well with your daily outfit. 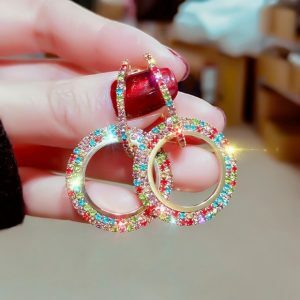 Also very fashionable are the V earrings and the earrings with pendants. 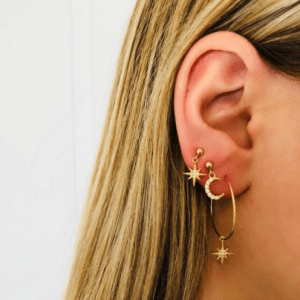 These beauties are spotted with influencers such as Monica Geuze. Combine this trendy jewelry with other stylish jewelry. For example with a nice long necklace. Or wear it together with a bracelet set. Other jewelry that is very hot at the moment is the necklace with letter. The necklace with a pendant in the shape of a heart and star remains trendy. 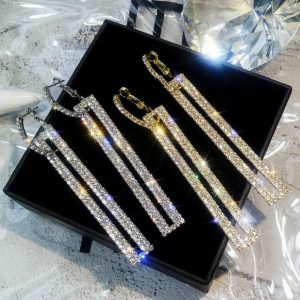 Do you prefer gold or silver earrings then you are lucky! We have in our jewelry collection Every outfit gets better with nice jewelry from Aphrodite. 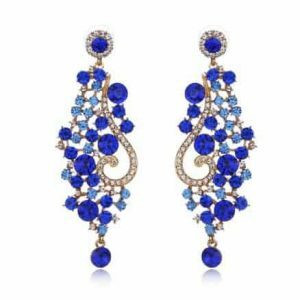 Sign up for our newsletter so you will always be informed of the latest jewelry trends, and the hottest items of the moment. Shipping is always free.